The Queen Of The Tearling was sent around for advance review this winter—a full six months before its scheduled publication date—with a lengthy packet from the publisher, as is often standard for debuts a publishing house is excited about. But a detail in the materials, tucked between an interview with the author and the plot sketch for the next two books in the series, stuck out for its novelty: The film rights to The Queen Of The Tearling have already been sold, and should Warner Bros. decide to take the film to production, Emma Watson, doe-eyed ingénue and star of the Harry Potter movies, would play the lead. Never mind the pressing concern, to anyone who has actually read the book, that Watson looks nothing like Queen Of The Tearling’s protagonist Kelsea: Where Watson is diminutive, gamine, and undeniably beautiful, Kelsea is repeatedly described as tall, round-faced, and undeniably plain. Let’s also set aside the shameless ploy on the part of the corporate executives in charge to tie Queen Of The Tearling to the wild success of the Harry Potter franchise: Along with Watson, producer David Heyman is tied to the book’s rights. The oddest twist here is how eager the publisher, Harper, is to make this book the first of a successful franchise, even though the first book has barely been tested. Until today, the official release date, The Queen Of The Tearling has been just a glint in the eye of a few evangelical editors and publicists and one proud author—yet here we are, staring into the churning machine of industry strategy that makes blockbuster franchises bloom and grow. This happens all the time. Scott Rudin is somewhat notorious in Hollywood for buying the rights to books and then never making them into films—this 2010 list from Vulture lists 20, and since then only Extremely Loud And Incredibly Close and The Girl With The Dragon Tattoo have made it all the way to the screen. Some of those were bought months before publication, like Junot Díaz’s The Brief Wondrous Life Of Oscar Wao; one, The Amazing Adventures Of Kavalier And Clay, was bought while it was still just a page and a half of notes. Well, it’s one thing to buy a book before it’s published; it’s another to buy a book before it’s even a book, based solely on a sketch of the plot. But it’s a third to pin film franchise hopes on a book series that hasn’t been written yet. Since the smash successes of Harry Potter, Game Of Thrones, and The Hunger Games, franchise-optioning is happening more and more often in the world of serialized, young-adult and/or genre fiction (which often overlap). And it puts writers, audiences, and publishers in an odd position—one that seems to value half-baked ideas over elegant endings. It is, to be fair, the same position most television writers, audiences, and studios find themselves in: the tricky calculations that go into greenlighting a show, renewing it, and then pulling the plug when it’s ready to go. Few shows manage to end gracefully as a result. Shows like The Sopranos and Breaking Bad are rare, both for being able to end on their own terms (and not due to market forces) and for tying off the series with a neat, if controversial, bow. As literature and their tie-in films pursue serialization—whether in comic-book adaptations or dystopian futures—it seems increasingly likely that nothing will end gracefully anymore; indeed, it seems likely that ending a narrative is no longer the point of starting it. More than one writer of a beloved and successful franchise has realized this midstream. J.K. Rowling took her longest hiatus between the fourth and fifth Harry Potter books, when the fourth, Harry Potter And The Goblet Of Fire, rocketed to the top of bestseller lists and the first film from Warner Bros. came out. George R.R. Martin has yet to surpass his third book, A Storm Of Swords, which came out almost 15 years ago, and A Dance With Dragons, the fifth, hit stores around the same time the first season ended on HBO. The next book has been in the works for an indefinite amount of time, as the series threatens to stretch out longer and longer. There’s another twist at work here, too: Sometimes, the endings are just bad. Veronica Roth’s Divergent series (which just released a movie of its own) has a finish that is notoriously, spectacularly bad, and the same can be said of Cassandra Clare’s The Infernal Devices. To a lesser extent, Rowling’s Harry Potter And The Deathly Hallows and Suzanne Collins’ Mockingjay were anticlimactic finishes to spectacular series. The problem is that everything has to end at some point—summer break, The Wire, and yes, even superhero franchises. It’s untenable for a writer or even a group of writers to continue indefinitely; even if we could just swap out George R.R. Martin with a younger clone of him, it would still be unsatisfying. Stories don’t attain their meaning until they reach their end, to paraphrase Badass Digest’s Film Crit Hulk, who argues that “the ending is the conceit.” It’s why soap operas feel so frustratingly empty. There’s always more story, but there’s never a resolution. Books, and then movies, have offered us some of the best endings of all time. And I don’t just mean the legendary closing shots of Stanley Kubrick’s 2001: A Space Odyssey or the classic final line of F. Scott Fitzgerald’s The Great Gatsby. Authors as varied as Agatha Christie, Alan Moore, Neil Gaiman, Ursula K. LeGuin, John Green, and Dashiell Hammett all have ended their stories decisively. 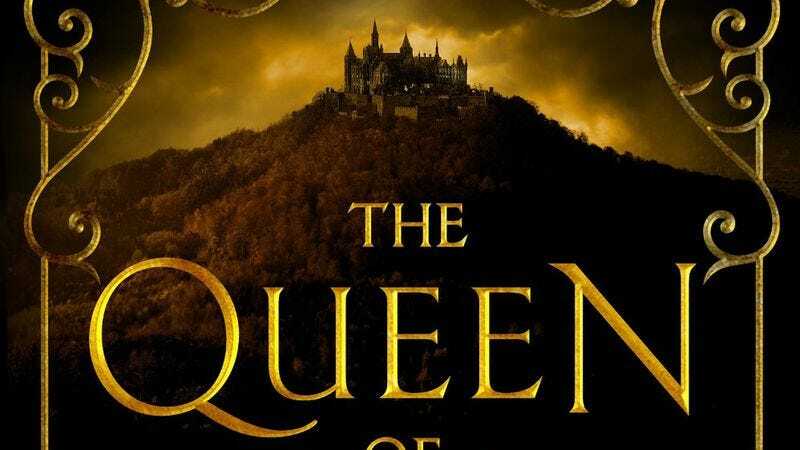 The Queen Of The Tearling is perfectly adequate, as far as young-adult genre fiction debuts go. It is eager to surprise the reader, and if the story relies on predictable elements in places, it is only to explore that same predictability. The author, Erika Johansen, has thought seriously about creating a fantasy world that’s not out of the past, but the future; though the Tearling, the fictional nation of the book, feels like the Shire, the book in fact takes place in the 24th century, where civilization has collapsed in some places, and merely been driven underground in others. Johansen is smart with letting the reader in on how much the characters know about their history, revealing it with smaller details, like their vocabulary and their understanding of medical advancement, not with clunky exposition. It would not surprise me if The Queen Of The Tearling turns out to be highly successful and becomes the movie its publishers hope it will be. It has engaging characters and moves effortlessly through moment after captivating moment; I could not put it down, nor did I really want to. (And I intend to read the scenes between Kelsea and The Fetch a few more times.) It does what young-adult fantasy needs to, which is to capture the imagination with romance and humor, and it does so in a way that is considerate of and sensitive to the conventions of the genre and to the real lives of the young adults who will read this. It does not, however, end. It doesn’t even offer the nice coda of The Godfather or Alias’ season two. It pauses after a skirmish for a moment or two to catch its breath, and then it just… stops. I want to know what happens next, of course—because the story is fun, and I liked reading it. But really, I want to know how it ends. I hope it gets a chance to.